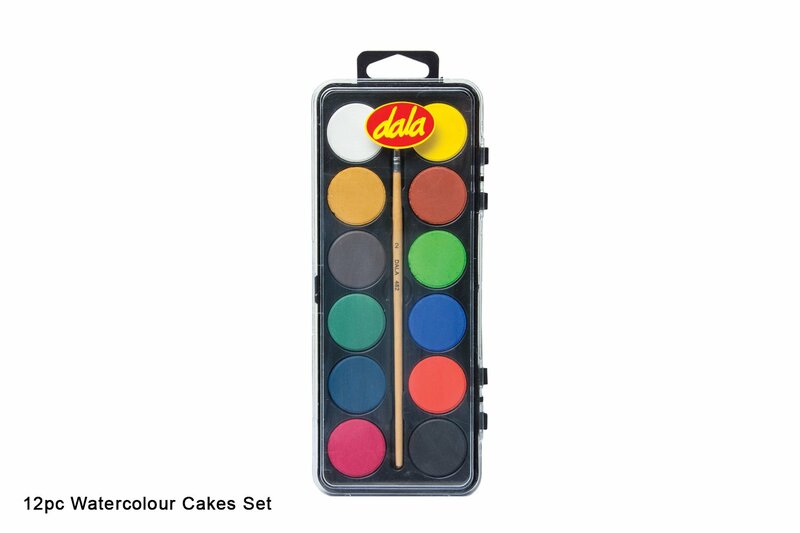 Dala Watercolour Cakes set is a good quality 12 colour pan set protected in a hard, plastic case. It includes a soft brush and the lid doubles up as a mixing tray. 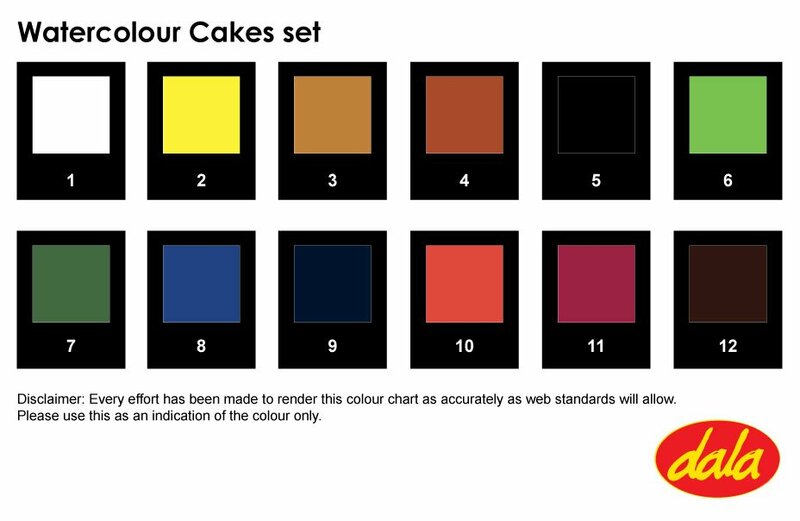 Available as a set of 12 in a hard plastic case. This item has 1333 views.